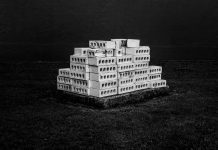 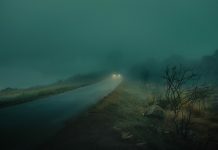 In this feature, we are covering the work of two artists who collaborated on an exhibition together. 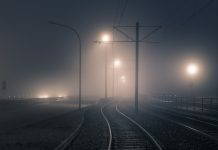 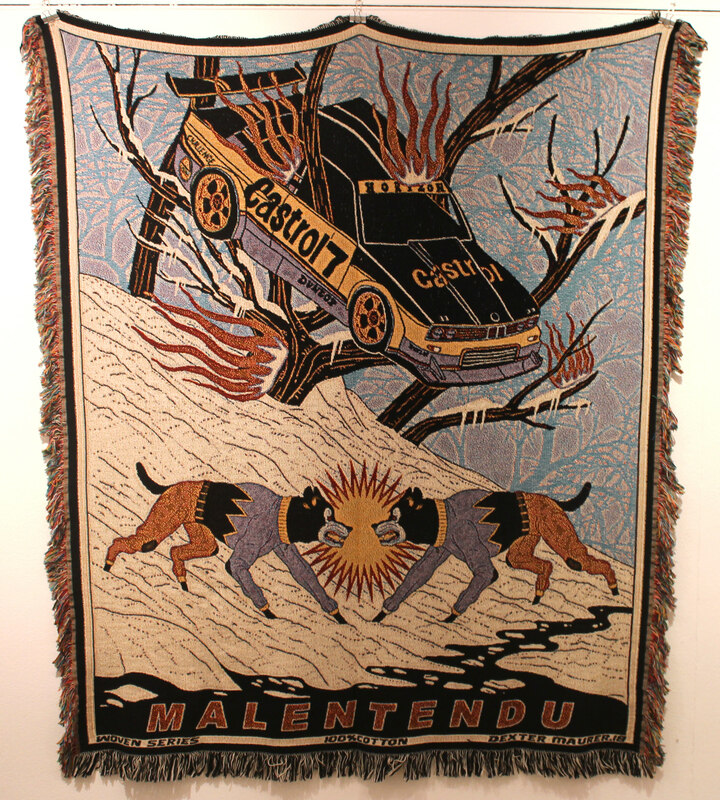 Dexter Maurer who we previously featured and interviewed and Nicolas Degaudenzi. 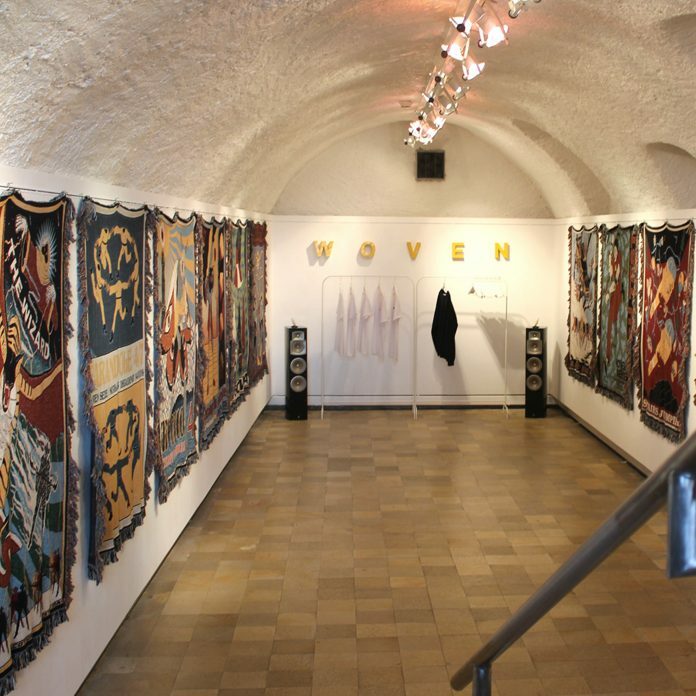 The joint exhibition called ‘Woven’ took place in Paul Bovée Gallery in Delémont, Switzerland in May 2018. 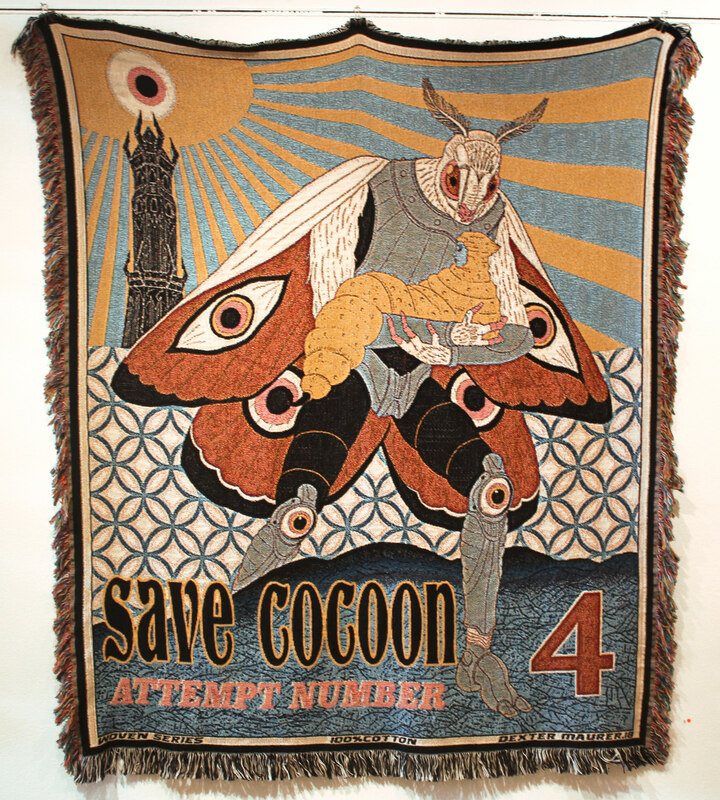 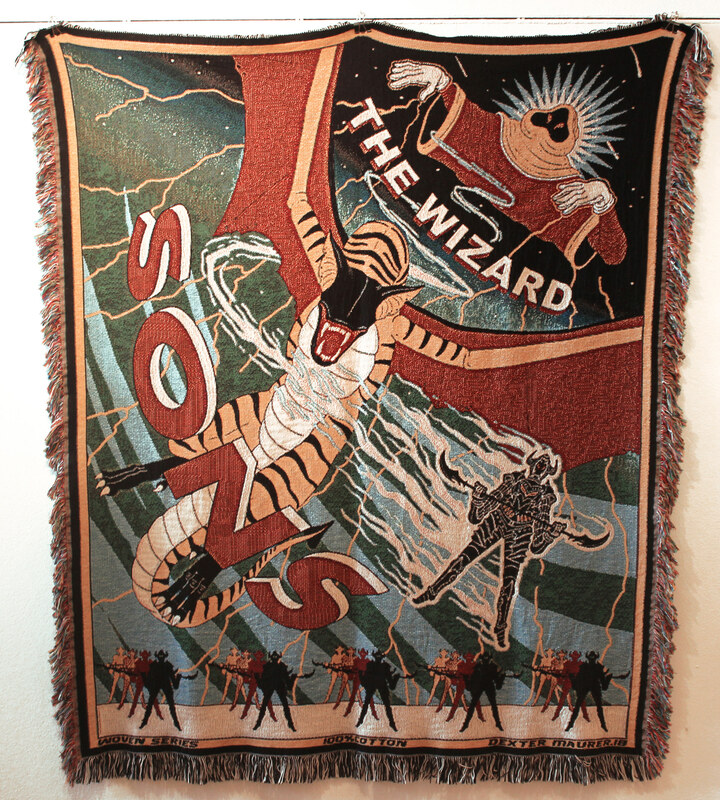 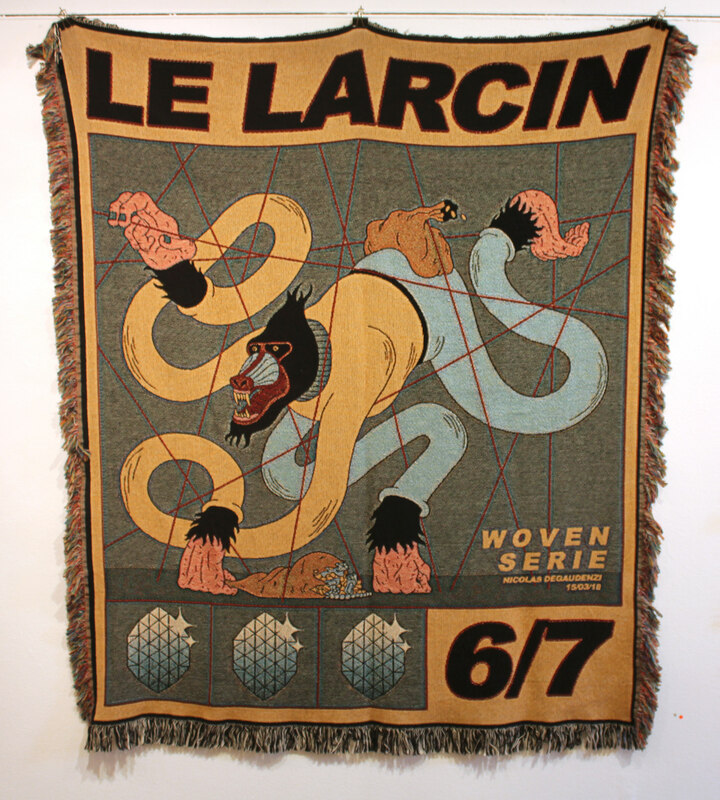 Both artists created seven woven blankets each and a limited series of t-shirts and sweaters. 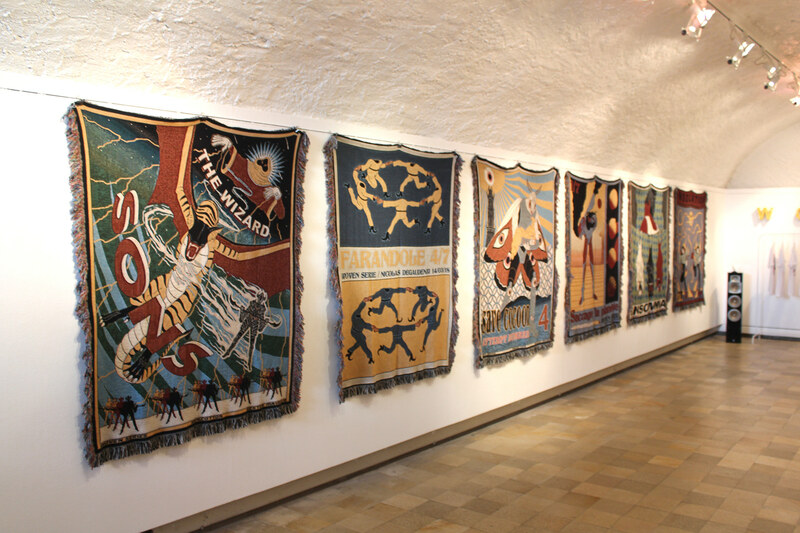 The exhibition perfectly depicts how modern illustration can be applied to different objects and how cool art makes something as traditional as woven blankets be viewed through a cool fresh lens.